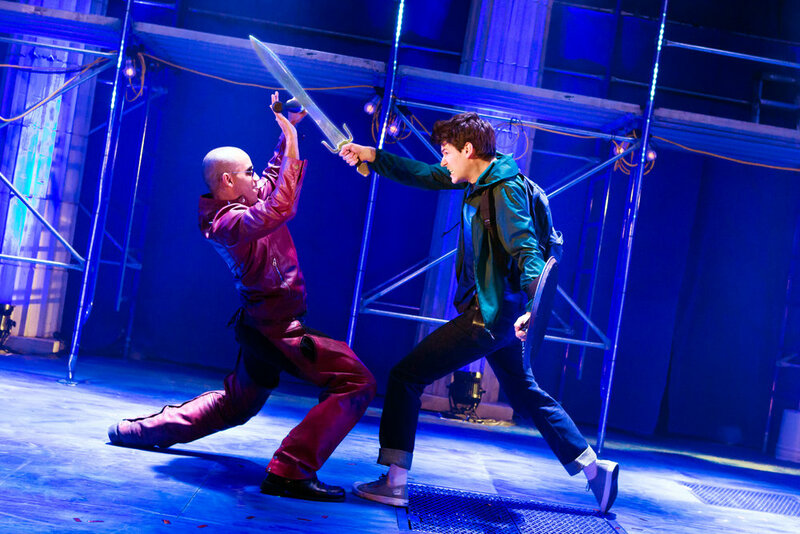 The New York Times Best-selling book, The Lightning Thief, comes to life onstage at Walton Arts Center. you can be the first to see the National Tour production. the books and the musical enjoy a strong fan following, as evidenced by a recent Fayetteville Public Library workshop where nine local students created a trailer for the show. 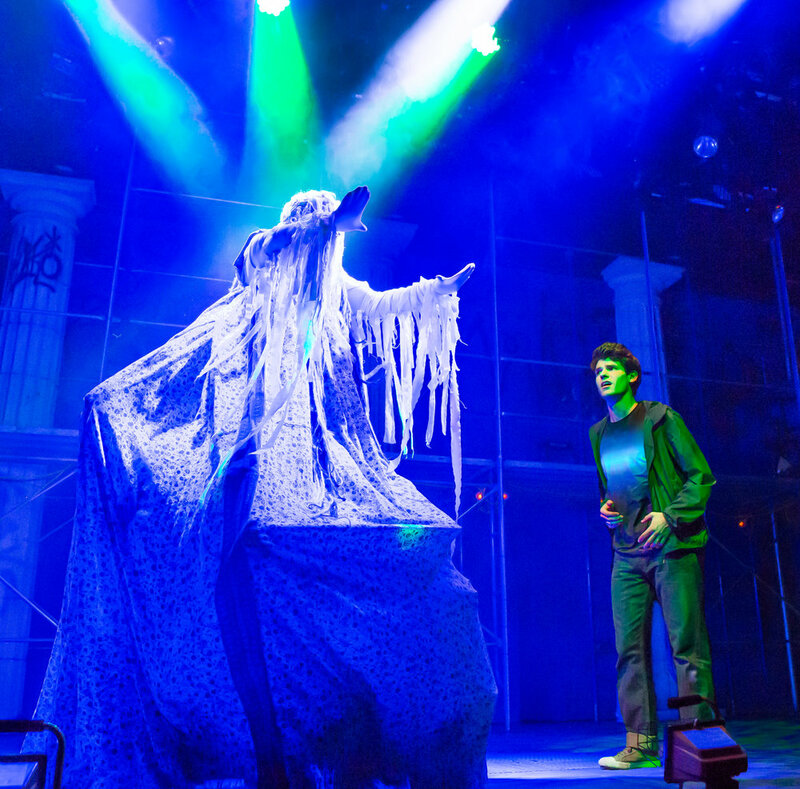 The Lightning Thief: The Percy Jackson Musical begins with a loud thunder clap, then five performers move to the front of the stage, singing to punchy rock music. It’s a perfect beginning to this clever, hip and irreverent musical, which merges teenage angst with Greek mythology. Creating this wild ride without the sort of special effects available to film makers required director Stephen Brackett to come up with ingenious staging solutions to tell a story which features not only gods, but mythological monsters. The set has a rock concert vibe, with scaffolding and the stage magic is frequently visible to the audience. “We embrace that you’re actually seeing what it takes to make an effect in front of an audience,” explains Brackett. When the show played a commercial run off-Broadway in 2017, it attracted not just super fans of the book but musical theater lovers of every age. During the off-Broadway run, videos of some of the songs went viral on YouTube. And when the cast recording was released, “It bumped Hamilton and it went onto the Billboard charts and it bumped Bruno Mars and Beyoncé,” Pasternack relates.